Children, if the day begins auspiciously, then the whole day passes off smoothly. That is why we bathe every morning for cleansing the body. However, it is important that along with the body, the mind too remains clean and pure. If the mind remains pure, our studies too will be effortless. So, please follow the points mentioned below to purify the mind. 1. Children should apply coconut oil on head after bath and comb the hair with left side partition. 2. 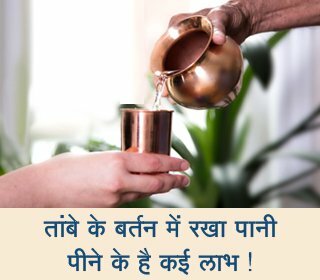 Boys should apply tilak (a vertical mark made on the forehead with vermilion) with the middle finger of the right hand and girls should apply round kumkum at the centre of the forehead with the ring finger. The girls should avoid applying sequins on their forehead. The person kumkum helps one receive Divine Energy and Chaitanya (Divine Consciousness) from God. Offer turmeric, vermilion and flowers to the Deities after a bath when the ritualistic worship of the Deities is already over. Wave lit incense sticks in front of the idols of Deities. If the ritualistic worship of the Deities has not been done, then take permission of your parents and do it yourself. Meaning : (Destroyer of evil doers) bent trunk, mahakaya (one who has a lot of power) and the one having radiance of millions of Sun, let all of my work be successful without any hindrance. After this, you may recite any other shlokas which you know. 1. O God, help me to do good things throughout the day and keep me away from bad things. 2. O Kuladevata (Family Deity) let me always remember to chant your Name. 3. O Shriram, teach me to respect elders. 4. O Shrikrushṇa, help me develop love towards my Nation and Dharma. Offer sashtang Namaskar (Paying obeisance – prostrate – using eight parts of the body namely the feet, knees, hands, chest and forehead) to Kuladevata or Deity of one’s worship and other Deities sincerely. 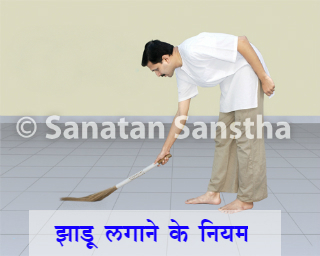 If sashtang Namaskar is not possible, offer Namaskar by joining the palms of both hands. At the end, sit and chant God’s Name for 10 minutes. You may have a question question, which Name to chant? 1. Chhatrapati Shivaji Maharaj worshipped his Kuladevi i.e. Bhavani Devi. He established the Hindu kingdom with the grace of Shri Bhavani Devi. Children, our Kuladevata (Family Deity) is the one who answers our prayers at once. Hence, we must worship our Kuladevata and chant His/Her name. 2. While chanting, ‘Shri’ should be prefixed to the Name of the Deity; the Name that follows should be in dative case (chaturthi pratyay) and should be concluded with ‘Namaha’. For example, if Kuladevata is Bhavani Devi, then chant ‘Shri Bhavanidevyai Namaha (श्री भवानीदेव्यै नमः). If Deity of worship is Ganesh, then chant ‘Shri Ganeshaya Namaha’ (श्री गणेशाय नमः). 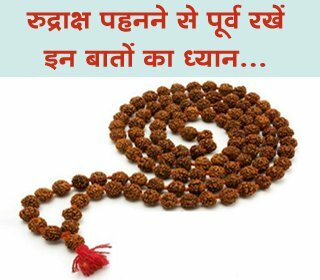 If Kuladevata is not known, then chant the Name of the Deity of one’s worship (Upasyadevata). 3. Try to chant throughout the day whenever you have some spare time. Children, do not follow the above points only to achieve success in your school examinations. Follow them regularly to acquire God’s grace and you will definitely succeed in all the examinations in your life. How Durga devi came to be known as ‘Mahishasuramardini’ ?